Soon you will be able to pick up a new microwave, clothes rail and Elizbabeth Duke set of earrings while you do the weekly shop, as the retailer is continuing its push to open in branches of Sainsbury’s. It’s because J Sainsbury Plc bought Home Retail Group, which owned Argos, earlier this year. 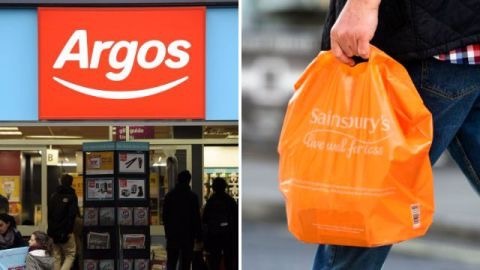 The big plan is to merge the businesses and double the number of Argos outlets in its supermarkets by Christmas, adding 30 new ones to the 20 that have been trading for a year already. If things are not immediately in stock, people will be able to use the store as a collection point to pick up things they ordered online. An Argos will open in Northfleet before the end of 2016, at Pepper Hill Sainsbury’s. Another will open at Sutton Coldfield Sainbury’s, selling 20,000 items on site and another 20,000 available for home delivery. Another Argos has opened in Ellesmere Port supermarket in Cheshire Oaks. Argos will close its store in New George Street, city centre, and move to a concession in Marsh Mills supermarket with the existing staff. David Evans, manager at Sainsbury’s Marsh Mills told the Plymouth Herald: ‘The new (Argos) store is great news for customers, who are looking for easier, more convenient ways to shop. Posted on October 3, 2016, in #retail, #uk, Other. Bookmark the permalink. Leave a comment.